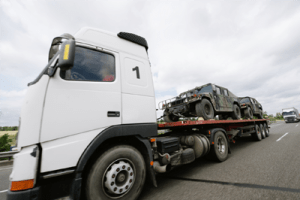 Military Vehicle Shipping is one of the most services that Phoenix Car Transport offers. Like Heavy Haul, this type is a different method of shipping, so it is, also, a hard one. Special permits are needed to ship this kind of vehicles. We have all the needed equipment to securely attach any kind of vehicle to our flatbeds and ship it to your desired destination. Our Heavy Haul ranks as one the top specialized carriers in the nation. Given our multitude of axle configurations, we have the capacity to haul loads up to 400,000 pounds. Our fleet size and the expertise of our team has enabled us to service a diverse customer base in several niche markets. These markets include but not limited to oil, gas, co-gen, and nuclear industry. We will take care of your military shipping for you. With us, you can move your whole base or just some vehicles, and we will arrange the move without any hassle for you. We also have all the required permits and can ship to any base in the US. Our Military Vehicle Transport includes nationwide shipping. So, it doesn’t matter and to where is going your vehicle. Give us the details and rest assured. Rates for Military Equipment Shipping varies. Contact Phoenix Car Transport to discuss all the details and get a free quote from us. We have some of the best rates in the market. Our team is looking forward to shipping for you! Get the best Military Equipment Shipping services by Phoenix Car Transport.